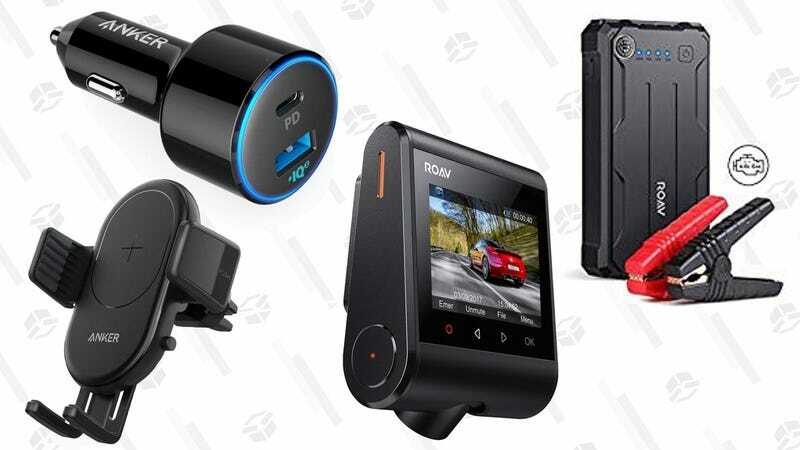 If you redline it over to Amazon today, you can drive away with some stellar deals on popular Anker car accessories from the Gold Box. For my money, the best deal of the bunch is this $20 car charger, which includes a 30W USB-C port, in addition to a regular USB port. It would be perfect for keeping a laptop or a Nintendo Switch charged up during a long road trip, no bulky power inverter required. There’s also a regular dual-port car charger included in the sale for $14. Also of note is this Qi-charging phone mount, which supports 7.5W charging speeds for iPhones, and 10W speeds for compatible Android devices. Just note that you’ll need a Quick Charge 3.0 car charger to power it. This USB battery pack can jump start most cars with the included jumper cables, and it’s small enough to fit your glove box. There will come a day that you’re late for an appointment and your car won’t start, and you’ll be really glad you bought this thing. Bonus: As of the time of this posting, it has an extra $10 clippable coupon available as well. 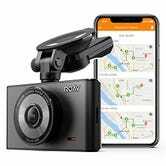 There are also a couple of dash cams included, but I’d probably get the cheaper of the two since it records 1080p at 60 FPS, while the more expensive one, ironically, only does 30 FPS. Those extra frames can really make a difference when it comes to capturing a license plate. Just remember that these deals are only available today, and the best stuff could sell out early, so don’t let the engine block cool on this deal before you make your selections.